If you want an overall opinion of my thoughts on this manga, feel free to look for my review of Volume One here. This manga only gets better and better as you read it. Another character that becomes a focal point of our group joins in this one, and then we get the biggest challenge that Kenshin has yet faced: Jin-e, a man who was also a monster of the revolutionary war ten years ago. Everything from the story we left off in the last volume with involving Sagara Sanosuke is well worth the read, and his power and backstory is one that'll affect a great many people. But the one that takes the cake is undoubtedly Jin-e. He presents the first real threat to Kenshin and to those around him, and while his reputation alone is formidable, the way he meets Kenshin at the crossroads is even more intense and frightening. The levels of corruption that we had seen in the previous volume only increase with Jin-e's appearance as well. 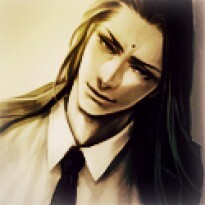 It is through him that the extent of the crude, merciless era that Japan has now fallen into is truly starting to unfold before our eyes, and it manifests itself in Jin-e's appearance like a prodigy. Though things get worse here, it's why this volume becomes so much the better to read. 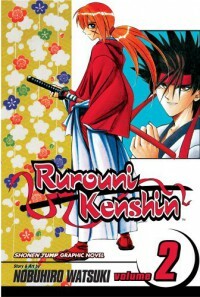 It reveals a new, darker side of Kenshin we didn't get to know before, and it makes who he is that much more shocking. Keep reading this one, guys. It's fantastic!